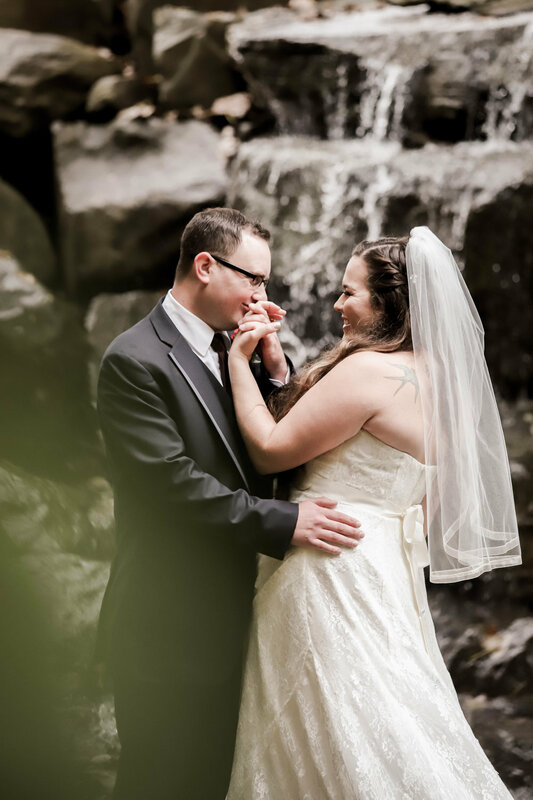 Cloudy skies kept the rain at bay for Nancy and Joshua on their beautiful fall wedding day. The crisp October air smelled great at the hidden gem of venue called Indian Ridge, up in New York State. 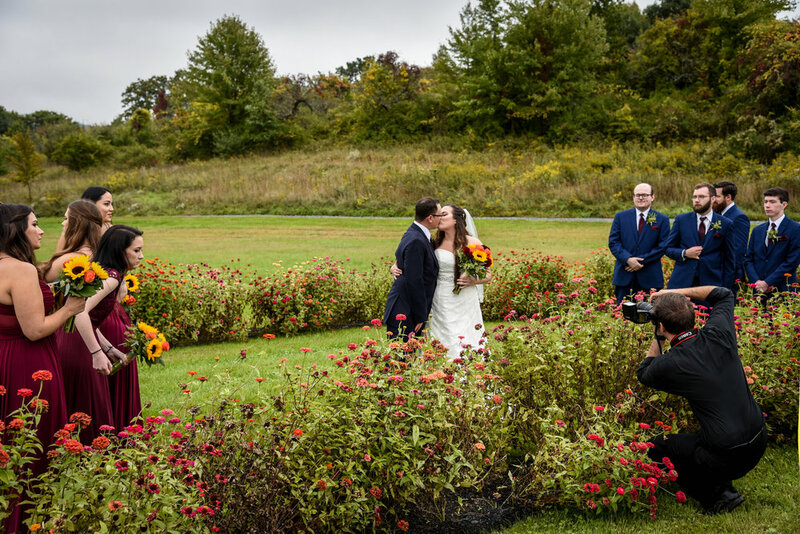 The Hudson Valley grounds were impeccable, the large lake in front of the ceremony area still as a mirror, and the apple orchard brimming with red apples. I loved shooting at this location - it was like a wedding in a secret oasis miles off the highway, hidden, with multiple amazing shooting locations. An orchard, waterfall, lake, and massive flower field. Plus the happy couple looked great as well of course! What a fun day, and a fun wedding. Congrats to the couple!